Vectra provides automated threat management to discover attackers inside corporate networks. It's powered by behavioral models that are always learning, and issue alerts about threats before they cause extensive damage. Vectra analyzes network traffic to learn more about activity on all devices, the company explains. Its automated tool eliminates manual threat hunting with the goal of bringing relevant information straight to users. 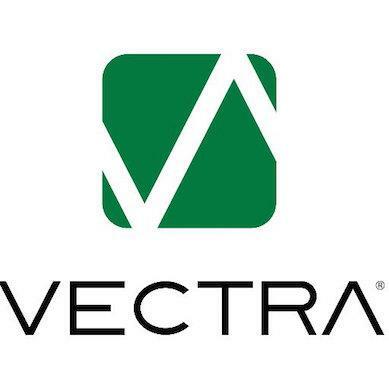 Vectra Networks was founded in 2011 by Mark Abene and James Harlacher. It's headquartered in San Jose, Calif. While there is clearly a role for vendors whose job it is to add security services, this is a necessary capability but it is not sufficient. With software increasingly moving to SaaS, SaaS providers themselves need to be increasingly 'in the business' of security for the software they themselves offer. This means capabilities like e2e encryption, SSO and user management tools, and so on, all need to be features built into SaaS products. SaaS offerings cannot be made more secure by adding a box at the edge. McAfee is a security vendor to watch? Seriously! If anything, they are the one to be forgotten if you are serious about security! I agree with you, this is very informative post! What in the world could have been the criteria for making this list? The first vendor you listed is literally hemorrhaging as we speak. They are laying-off employees left and right. The founder has been marginalized so they can position the company for quick sale. The technology is failing if you go by independent tests like NSS Labs Breach Detection where they finished a miserable last in a field they really created. If they aren't purchased soon, they may actually disappear. You also included a VAR, Optiv, in a list of that is supposed to be vendors. Finally, how do you omit a huge player such as Check Point? What they are doing with their sandboxing tech (CPU monitoring and Threat Extraction) while still extending it to the Endpoint, and addressing the biggest threat vector in the mobile space is quite groundbreaking. Dark Reading just dropped to bottom in my list of news sources.. This is a very informative overview. I'm curious why you did not include a company like Strike Force Technologies, Inc. who has the patents on ProtectID, GuardID, and MobileTrust. These are apps that encrypt the user's keystroke input on any device preventing its capture by malware and access to the system without dual factor out-of-band authentication. Could be the most important layers in any multi-level security defense of data. You may want to contact George Waller at Strike Force for more detail. If you have trouble making contact, please let me know. These are good products that I use.